The president urged speediest finalization of that the healthcare legislative framework. President Petro Poroshenko during his working trip to the Odesa region on 28 December signed two laws that launch national medical reform: on improving the accessibility and quality of medical care in rural areas and on government financial guarantees for the provision of medical services and medicines. The president stressed that the decision on the law on state guarantees was not easy for him. "Nevertheless, I signed it because I support the need for healthcare reform, the importance of giving quality healthcare to every Ukrainian citizen," he said. 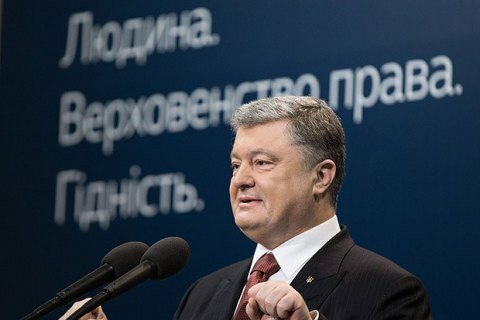 Meanwhile, Poroshenko instructed the government to develop a set of measures guaranteeing citizens rights in connection with the reform. "We must be careful when calculating tariffs, and we must be very careful about government expenditures to avoid finding ourselves in a situation where there is nothing to give. It is imperative to ensure at the legislative level that the adopted law does worsen the state of medical care for Ukrainians," Poroshenko stressed. On 19 October, the Verkhovna Rada passes a key the healthcare reform bill that introduces state guarantees for the payment of medical services and medicines provided to patients at the expense of the state budget along the "money goes after the patient" principle. In particular, bill established the notion of "state-guaranteed package" – a certain volume of medical services and medicines, which the state undertakes to pay at a pre-established single tariff, annually approved by the Cabinet. State financial guarantees are granted to all citizens of Ukraine and registered taxpayers. On November 14, the parliament passed another bill from this package on the enhancement of the accessibility and quality of medical care in rural areas. The law sets a system of incentives to attract qualified specialists to work in rural areas, in particular providing medical workers with housing and service transport, enhanced opportunities for obtaining education and further training, favorable working conditions, including a developed material and technical base for medical care . The Verkhovna Rada still has to approve amendments to the Budget Code in the context of the healthcare reform.